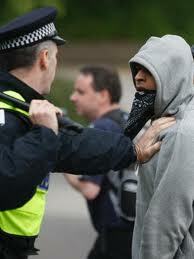 (August, 2011) – British authorities were quick to brand rioters in London and other cities as criminals. There seems to be little understanding of the fact that the looters and vandals are underprivileged people who have been forced to watch as the rich and the super-rich become still richer. We live in a world of limited resources. It is therefore reasonable to expect that those who are left with little, will harbour all sorts of unhealthy feelings toward those who already have too much and still want more. In the end their desperate dissatisfaction transforms into a collective outburst of rage which is what we are seeing on the streets of the UK now. The UK is “a country in which the richest 10% are now 100 times better off than the poorest, where consumerism predicated on personal debt has been pushed for years as the solution to a faltering economy, and where, according to the OECD, social mobility is worse than any other developed country,” writes Nina Power in The Guardian. If the British really want to get to the bottom of their present troubles they should take a hard look at gangs and looting not only at the lowest levels of society but more so at the highest level. Just calling them criminals puts the British authorities on a par with repressive regimes elsewhere whom they hardly want to be compared to.